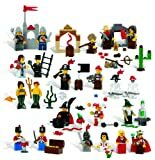 The LEGO Education 779349 (or 9349) 227-piece fairytale and historic minifigure set includes elements to build 22 multicultural male and female minifigures, representing characters from fairytales and history. Children four years and older can explore role-playing, while creating and reenacting fairytales and stories, developing imagination and imitative skills. Themes include pirates, a witch and wizard, a king and queen, knights, mine workers, a mermaid and merman, and more, and accessories such as wands, hats, flowers, spiders, and snakes. The set is compatible with any LEGO Education system, supports a group of five students, and comes with a decorated box for storage. Poo-Pourri Master Crapsman Gift Set contains 2 – 2 oz bottles tat are good up to 100 uses. It is made with Poo-Pourri’s proprietary blend of natural essential oils that create a varrier to bathroom odors. Includes (1) bottle of Heavy Doody and (1) bottle of the Poo-Tonium Spray. 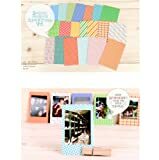 20 different types of stickers per bag, Mix and Match the one you like. Help keep your cat healthy and happy with FELINE GREENIES Dental Treats, the #1 vet-recommended feline dental treat. Each treat has a unique shape and crunchy texture to help clear away plaque and tartar buildup with every bite. 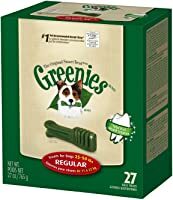 Pet parents can feel good about giving their cats FELINE GREENIES Dental Treats. These treats are meant to be given daily to help strengthen the bond between cat and pet parent. Each treat is also nutritionally balanced to provide the complete nutrition cats need to maintain good health. 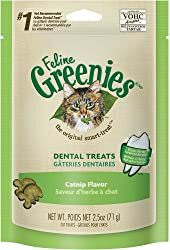 Cat dental care has never been easier or more delicious than with FELINE GREENIES Dental Treats. These treats are proven to clean teeth and help maintain proper oral care, all while providing an irresistibly great taste cats will love. Administering medications to your cat doesn’t have to be a headache. Simply slip the capsule into a tasty FELINE GREENIES PILL POCKETS Treat and they’ll happily eat it without ever knowing they’re taking their meds! Treat with a purpose with FELINE GREENIES SMARTBITES. These delicious treats not only promote bonding between cat and pet parent, they also contain natural ingredients for better nourishment. NUTRO NATURAL CHOICE Cat Food is an easy choice for your finicky feline. Loaded with savory proteins, our specially shaped kibbles encourage a satisfying eating experience. 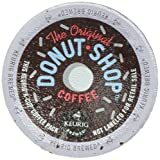 Coffee People Donut Shop K-Cup Coffee is a medium roast coffee reminiscent of the cup of joe that you find at classic donut counters throughout the United States. Sweet and rich with dessert flavors in every single cup, this classic coffee is approachable even to those who fear coffee bitters. Sweet savory flavor set Coffee People Donut Shop coffees apart from your average coffee blends, and now you can enjoy this unique coffee with the convenience of single serve K-Cup refills. Scotch Precision Ultra Edge Non-Stick Scissors are ideal for fabrics, photos, and all types of paper. The titanium-fused blades stay sharper longer than stainless steel blades and use non-stick technology that prevent sticky build up on blades. Soft comfort grip handle designed for left- or right-handed use. Use a damp cloth to clean adhesives from blades.